We are Artify, an artificial intelligence (AI) contents-generation company for news sites around the world. With our proprietary AI robot, RoboAuthor, we are able to create contents completely independent of any human input. RoboAuthor helps us generate premium contents for over 150 news sites that need complementary contents other than everyday news. They are paying clients. Last week, our copyright-monitoring team discovered that a global news network has infringed on copyright in a number of our articles. The global news network operates news houses physically established in Australia, Europe Union (EU), New Zealand, United States (US), UK, and Nigeria. These news houses run local websites from their various locations. They all copied 5 of our news articles verbatim without any authorization, attribution, or compensation. When our legal team wrote the global news network to demand that they pull the infringing articles down from their website, it refused. Reason? “Your articles were written by robots. No copyright protection for works generated by robots!”, they claimed. Seriously, this is not funny. We have invested millions of dollars in developing RoboAuthor. If this copyright infringement is allowed to persist, we are practically our of business. Do AI-generated works enjoy copyright protection? The answer is YES or NO, depending on the country the alleged copyright infringement took place. Originality is the touchstone of copyright protection. Authorship is primary. Authorship of a work eligible for copyright protection implies a “creation of the human mind”. This is why in the absence of originality and authorship as contemplated under copyright laws, conferring copyright to works created or generated by robots, other machines, or any nonhuman author is a big challenge. Generally, while some jurisdictions don't confer copyright in AI-generated works or works by nonhuman authors, other jurisdictions confer copyright on these works but in favour of the human programmer or owner. Copyright Protection in the US and Australia: Only a human being can have copyright under the United States copyright law and the Australian Copyright Act. In the US, the copyright statute does not recognize copyright protection for works that are not created by a human being. By implication, this includes world created by robots or other machines. Recently, the US judiciary had the opportunity to decide on copyright protection for works by a non-human—a monkey who took selfies. In that case—Naruto v Slater No. 16-15469 (9th Cir. 2018)—the US Court of Appeals for the Ninth Circuit (Ninth Circuit) held that a monkey can't own any copyright to his selfies. Why? Because only humans can own copyright under US law. Apart from Naruto's case, the US Copyright office “will refuse to register a claim if it determines that a human being did not create the work.” Works “produced by machine or mere mechanical process that operates randomly or automatically without any creative input or intervention from a human author” is excluded from copyright protection. Similarly, under the Australian Copyright Act, there is no copyright protection for works created by nonhumans. This is because works are contemplated to be the “creations of the human mind”, and not that of a robot or an animal, however intelligent they may be. This is why in a recent Australian case Acohs Pty Ltd v Ucorp Pty Ltd, the court refused to recognize copyright in a work created by computer program. In that case, HTML-based data was converted by a program into datasheets. Because the court found that the datasheets that were created autonomously by a program did not have a sole human author, the court held that the datasheets were not protectable by copyright. Therefore, as far as US and Australia are concerned, RoboCopy has no copyright in the articles. Even your company Artify, owners of RoboCopy, cannot claim any copyright. Copyright doesn't apply, except there was a creative input by a human being. In Europe, originality is the touchstone of copyright protection. This originality is not only about newness but connected with an author's intellectual creation. This implies the personality of the author. Robots or machines are not known to have a personality. In Infopaq International A/S v Danske Dagblades Forening  EUECJ C-302/10, the Court of Justice of the European Union (CJEU) decided a case involving data capture by holding that copyright applies only if the work is an expression of the intellectual creation of their author. Law and policy in Europe is that for now AI does not have the degree of autonomy that would grant personality or legal status to robots. In Nigeria, copyright does not apply to works created by robots or machines. Under section 2(1) of the Nigerian Copyright Act, copyright is conferred on eligible works by an author who must be a ‘qualified person's. Under the Act, a ‘qualified person’ is (a) an individual who is a citizen of, or is domiciled in Nigeria; or (b) a body corporate incorporated by or under the laws of Nigeria. Robots and machines are therefore completely out. Therefore, both in Europe and Nigeria, RoboAuthor will have no copyright over the articles in question. 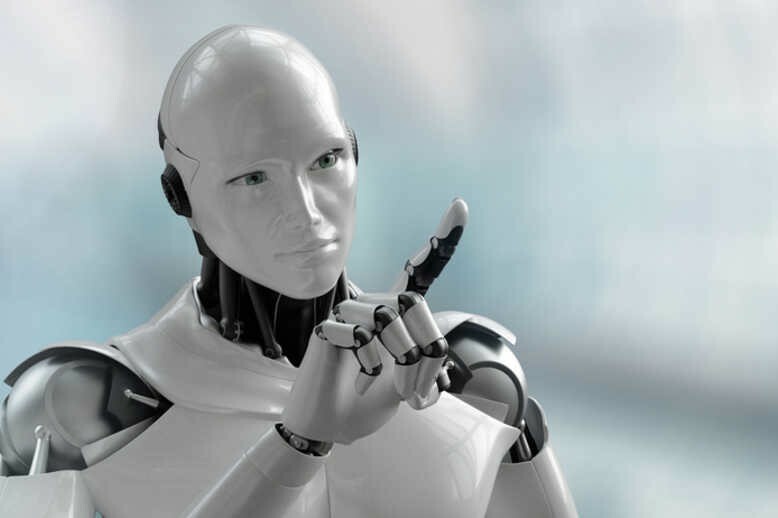 In the UK, works by robots or other automated machines are generally treated as computer-generated works, this qualifying such works for copyright protection, but in favour of the human programmer. Section 178 of the Copyright, Designs and Patents Act (CDPA) defines a computer-generated work as a work “generated by computer in circumstances such that there is no human author of the work”. So regardless of the autonomy of a robot or machine, as long as the robot or machine was created by a human programmer, the human programmer is the copyright owner, subject to originality. The legal implication of the position above is that the news articles written or generated by RoboAuthor enjoy copyright protection, but grants copyright to your company Artify, not RoboAuthor. On this basis, you can bring an copyright-infringement action against the global news company in the UK. The New Zealand copyright law is similar to the UK regime. So your action against the global news company may be successful in New Zealand. For legal advice and assistance, consult an IP lawyer or law firm.